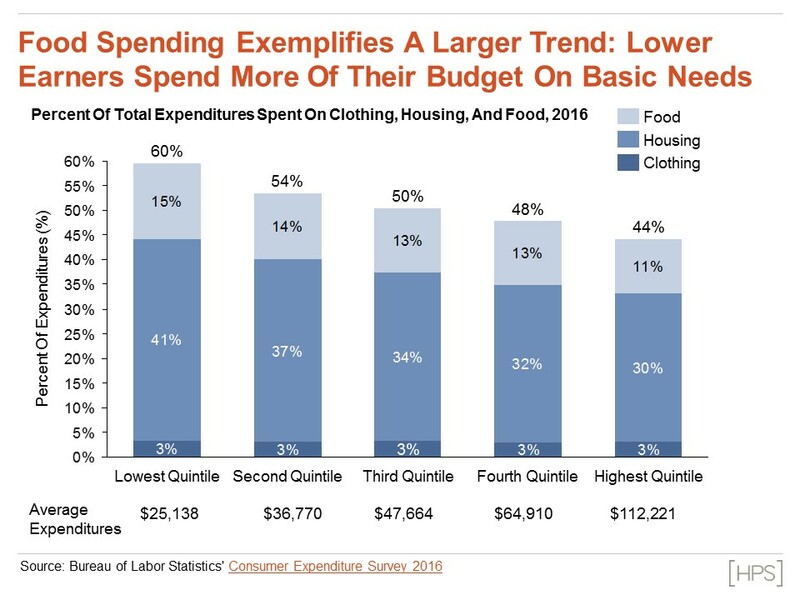 On August 29, the Bureau of Labor Statistics (BLS) released data from its 2016 Current Employment Survey, which records annual spending on food by members of different income brackets. 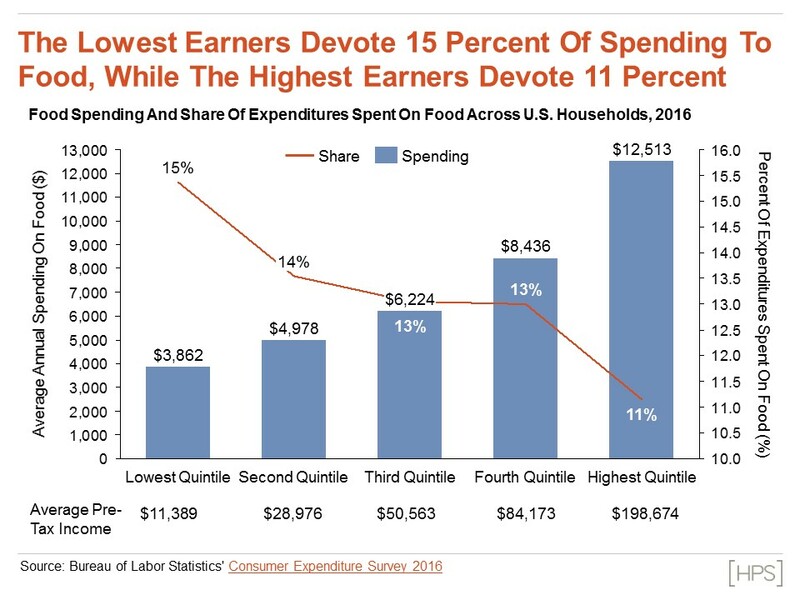 The data show the highest earners spend over three times as much money on food than the lowest earners. However, low-income households devote the largest share of their total annual budget to food. 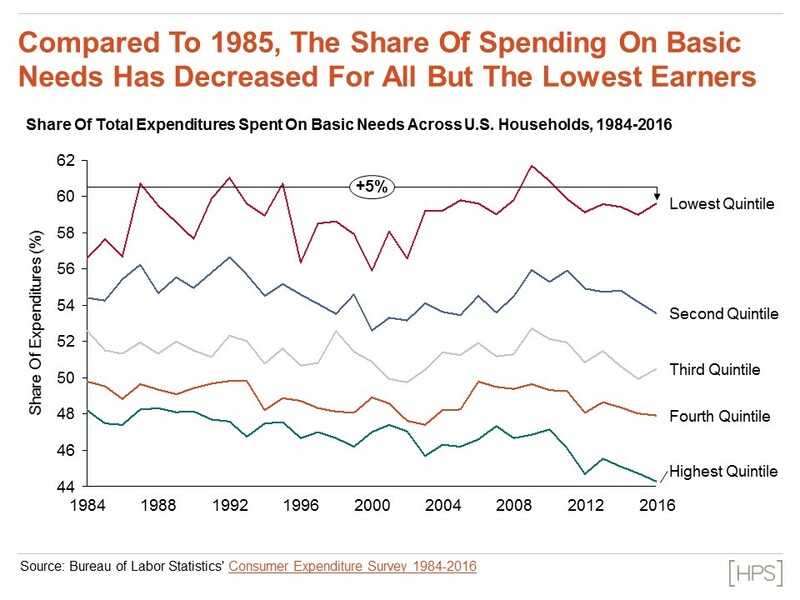 Further, the lowest-income households are the only group that has seen its share of spending increase over the past thirty years. See the charts below for further analysis of the newly released data.